Milestone 229 is a premier downtown dining destination, located on the Scioto Mile, providing exceptional views of the Columbus skyline and riverfront. We offer a chef-driven menu serving classic American dishes with regional influences including steak, seafood, pizzas, sandwiches, salads and desserts. Our upscale, casual fare is made with locally-sourced ingredients and pairs with our hand-crafted cocktails, specialty drafts and fine wines. Independently owned and operated, we have spacious patio and indoor seating. We are a great choice for birthdays, anniversaries or special occasions. Valet service available. Restaurant hours: Mon-Thurs 11am to 10pm, Fri- Sat 11am- 11pm, Sunday Brunch 10am-3pm, Sunday dinner 4-9pm. 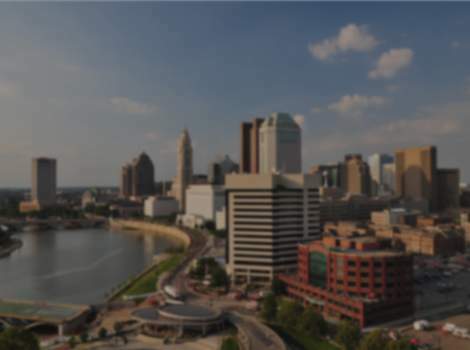 Located Downtown Columbus, 10 minutes from Short North, Arena District, Brewery District and German Village. Nominated Best New Restaurant 2011 by Columbus Monthly.